Mercedes-Benz, through its DriveStyle app onboard, can now tell Nest when the driver will likely arrive home, so the thermostat can start heating or cooling at the right time. Jawbone's Up 24 band can now also do the same, by starting the process before the wearer even gets out of bed. The integrations come courtesy of Nest's long-awaited API (application programming interface), launched Monday night. It's a set of commands that allow third-party developers to interface their apps, devices and appliances with Nest's thermostats and smoke detectors that "learn" their users' habits. The API is part of Nest's ambitious push to grow the larger ecosystem of connected devices and software. Integration with Google apps, for instance, is coming in the fall, so people can say, "OK Google, set Nest to 75 degrees," Nest said. Nest's goal is to turn the concept of a connected home into a reality, by letting any number of devices or apps integrate with its technology. Through the API, Nest envisions a range of scenarios in which software and hardware developers could build products that interact with Nest's products and also make use of energy use data. "We want to enable interesting experiences in the home that go beyond turning the devices on and off," said Greg Hu, Nest's senior product manager and head of its developer program, in an interview in the lead-up to the API's availability. The API is available now to all developers working across iOS, Android and the Web. A bunch of companies are already signed on. In addition to Mercedes and Jawbone, other applications seem poised to add real smarts to people's homes. With a service called IFTTT, Nest customers can have a text message sent to their neighbors if Nest's smoke detector detects smoke. And Whirlpool's washers and dryers can now delay the start of their cycle during periods of increased energy usage with Nest's rush hour rewards program. Nest said that in all cases Nest customers must authorize a connection before any data is shared. The company also said it uses SSL encryption to secure the communications between Nest and other products. Nest is pushing hard to connect a wider number of home devices, even without the API. Last week the company said it was acquiring Dropcam, which makes small cameras for home security use, aimed at building new products for the home. 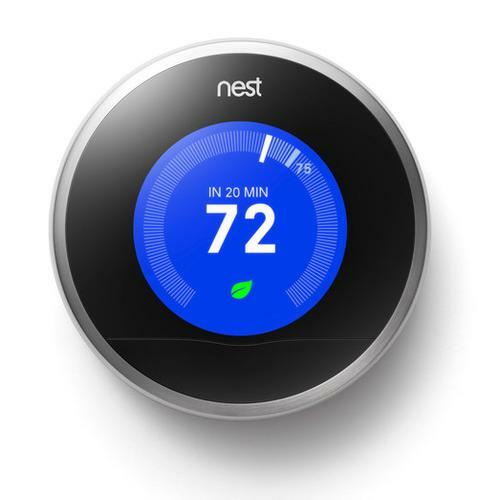 Nest's API could take off among developers. But with Google now owning Nest -- and Nest owning Dropcam -- more consumers may start questioning with whom their data is really being shared, and for what reason beyond setting their home's temperature.